Are you getting tired of seeing chili yet? 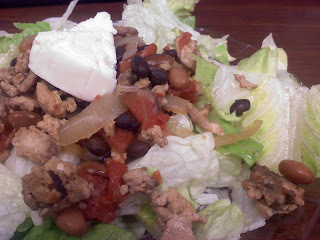 Today I had my cup of chili on a bed of salad lettuce with a wedge of light laughing cow cheese. Very good and filling!! !